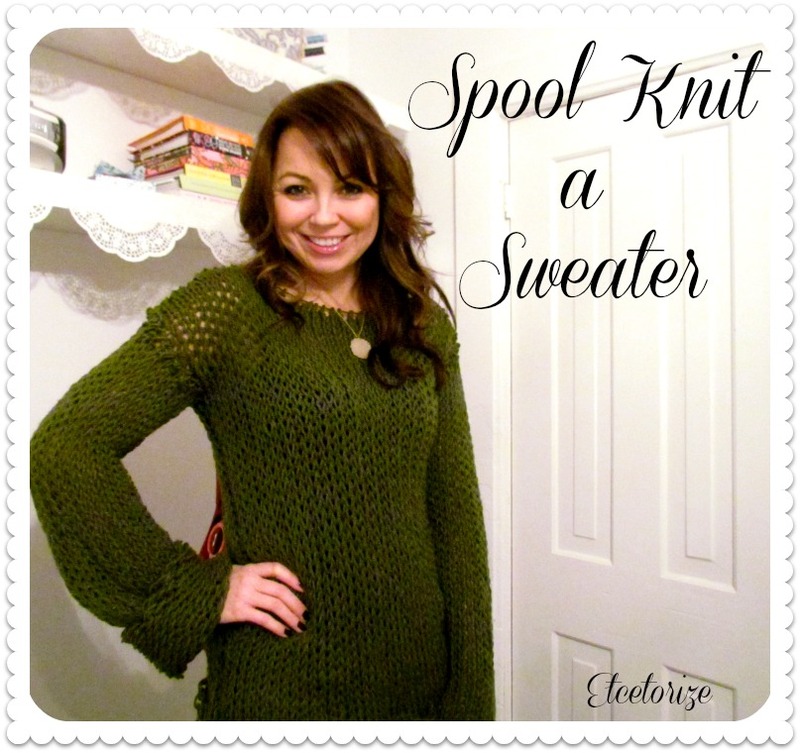 Etcetorize: Spool Knit a Sweater! This is for all the non-knitters out there! 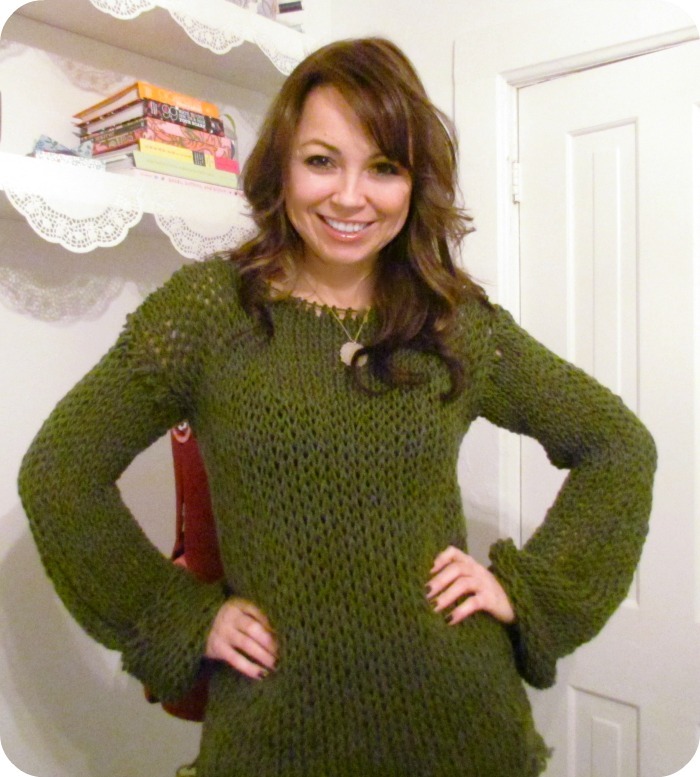 Even if you don't knit, you can make your own sweaters .... on your spool knitter! All you need for this project is your spool knitter (loom), 3-5 skeins of wool, and some scissors. If you're new here and have never done spool knitting before, go to the tutorials tab up top for loads of posts on how to make your own knitter and what to do with it...it's EASY! That's it! So easy right?!?! Have fun. I can't wait to see what all of you cool creative people out there come up with. Hi Tamara, I loved see your video!!! I like your voice and your smile is so beautiful! I love the explanation, I'll not need to use that because I already knitt about 25 years :), but it's nice to those don't know how to. My Aunt taught me all my sewing and handiwork skills: embroidery, crochet, knitting the works. If stitches were too long in my embroidery - they were to be pulled out. So...knitting and the tension thing were beyond me. It took me a year to knit a long sleeved,v-neck sweater. I sewed it together as I was taught etc. When I proudly displayed it to my Aunt, her reply without blinking; "THROW IT OUT!". I'd put a sleeve in backwards, neck wasn't the same on both sides and so on. I haven't knit since. But, I still sew up a storm, love to embroider and hesitate to crochet. haha... Cant win em' all. You are just too adorable in that sweater. I am jealous of your knitting abilities! Thanks for linking up to my Linky Party! I've tried knitting with needles and just can't work it. I really want to try loom knitting. I had no idea you could do a sweater with a loom! Thanks for sharing. This is adorable. I knit and would make this in a heartbeat. I following you and would love to have you follow back. I have a link party called Wednesdays Adorned From Above Blog Hop and would love to have you share this with everyone. It runs from Wednesday through midnight Sunday. Here is the link to the party. I made a knitted sweater for my brother about 40 odd years ago. It was the first sweater that I ever knitted. I came out way too big. We all had a good laugh over that. I haven't knitted since. I do crochet now. Wow this is totally awesome!! Visiting via Pin Me Link Party and pinning this post for later when I have time to attempt this project! Love the green! It looks awesome on you! What a gorgeous sweater! Hi! I'm your newest follower and was kinda maybe sorta hopin' that you'd hop on by my blog and follow me back!! I can't believe you were able to knit a whole sweater on a spool knitter - that's fab. And can I just say, I think you are so cute(In a totally not-creepy kind of way):) Thanks for the inspiration! This will be my first project making this sweater. Do I use the regular knit stitch that you demonstrated for the scarf?